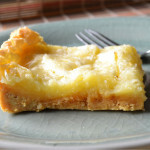 Years ago, I made these Chess Squares on my old site (FortyCakes.com) after finding the recipe on Kevin and Amanda.com. Today, for some reason, these little squares of delicious popped into my mind while I was working at my desk. It is likely because I am on Day 3 of the Whole 30 and my brain is trying to sabotage my efforts toward better health. These are the epitome of junk food—boxed cake mix, cream cheese, a whole pound of powdered sugar. Butter. And, that seems to be what my brain is calling out for. The recipe is very simple, mix together a few very common things and pop into the oven. After almost an hour of baking, out pops the most delicious and decadent cookie bar you have ever tried. I thought I would share this recipe with you all today. If you aren’t doing the Whole 30, or vegan or paleo or gluten free or sugar free—these will be perfect for you. Bake up a pan and take it to the office for your holiday party –you will be the star of the show! 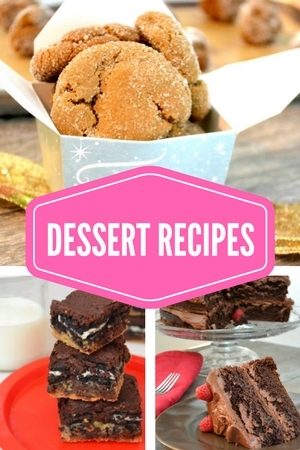 So rich and decadent but splurge worthy! Make a big batch and take to the next office party. Lightly spray a 9X13 baking pan with spray or use parchment paper. 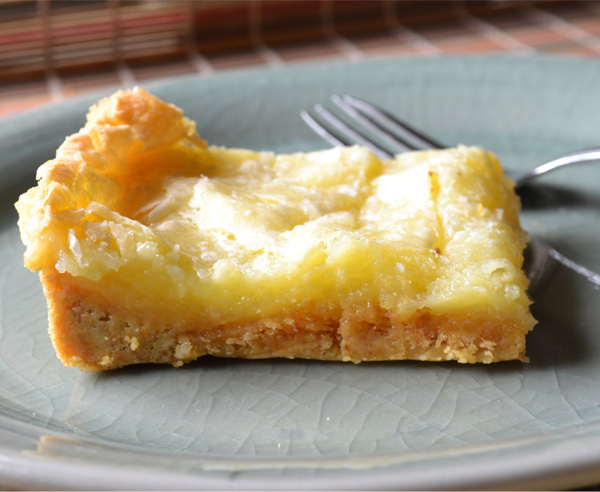 In a large bowl, mix the yellow cake mix, the melted butter and 1 egg until you get a thick dough. Press that into the bottom of the baking pan. Whip together the cream cheese, 2 eggs and powdered sugar until smooth. Pour on top of the yellow cake layer. Bake for 50 minutes or until the top gets golden brown. Serve warm, cool or straight out of the fridge!